Don Garrity, 61 of Hayes, died Saturday, Dec. 3 at his home. Donald De Wayne Garrity was born Sept. 24, 1955 in Pierre, SD to Mary (Gregg) and Dean Pfeiffer. His favorite childhood memories were of the times he spent with his grandparents, Bob and Theresa Gregg. During his senior year of school he lived with Loretta and Willie Cowan and graduated from Riggs High School in 1973. He credits Willie with helping him win the State 4-H Champion Saddle Bronc buckle in 1974. Don spent a year working at Homestake Gold Mine before going to North Dakota, to work in the oil fields, while in North Dakota he became manager for Guardian Pipe Inspection Company and worked in various states and Argentina. In 1989 he returned to South Dakota and worked on the WA Hickman ranch at Ottumwa. On Jan. 8, 1998 he married Dodie Schmitz and they made their home in Hayes, South Dakota. With this union he gained two loving daughters, Dawn and Kelly and five grandchildren. Don and Dodie ranched and ran the Oasis Too store until they closed it in 2008. Don continued to ranch and was a local brand inspector until the present. 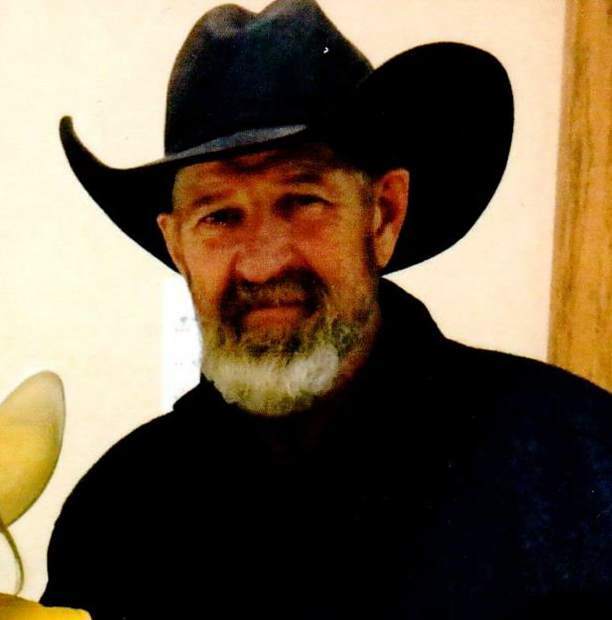 Don was an active member of Grace Lutheran Church and served on the church council, was a member of 4-Corners Fire Department, and was a certified First Responder. One of his greatest joys was attending the five grandchildren's activities and he was never too busy to spend time with them. Don credits the person he became to his grandpa Bob and Willie Cowan. Survivors include his wife Dodie; daughters: Dawn (Brad) Stover and Kelly (Darren) Tibbs; grandchildren: Kyle, Cade, and Levi Stover and Bailey and Jayda Tibbs; mother Mary (Buzz) De Neui; brothers: Bret (Miguel) Garrity and Bill (Amy) Zebroski; sisters: Wanda Garrity, Jo Pfeiffer, Holly Rilling, Kelly Fennell and Jill Pfeiffer; brother-in-law Tim (Joan) Sleeth; sisters-in-law: Melanie Sleeth and Dee Briggs and mother-in-law Barbara Thimsen. He was preceded in death by his maternal grandparents Bob and Theresa Gregg; brother Art Garrity; father Dean Pfeiffer and paternal grandparents Morris and Louise Pfeiffer.